You are here: Home › NEWS › Blog › Take the back-ache out of farming! The two things that can aggravate any farmers back during the spring time is lifting buckets of milk and moving new born calves. O’ Donovan Engineering has the solution to these problems. The most adaptable Calf transport unit on the Market, Designed for farmers by farmers. This is O’ Donovan Engineering’s Yard Mate. This unit can be used to move animals, bags of feed, or equipment around the farm quickly & safely. The sides of this transporter can be easily removed creating a flat-bed trolley suitable for moving bales or other goods. This yard mate is available with or without a ramp to make it easy to load new born calves into the transporter. This calf transporter is fully hot dip galvanised. It has four pneumatic needle bearing wheels and front swivel undercarriage for added control and movement. 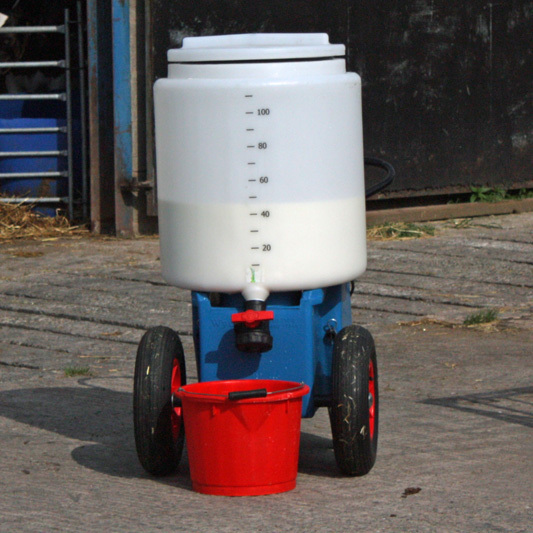 Our Wydale mobile milk trolley makes it easy to transport milk around the farm. It has a capacity of 110 liters. 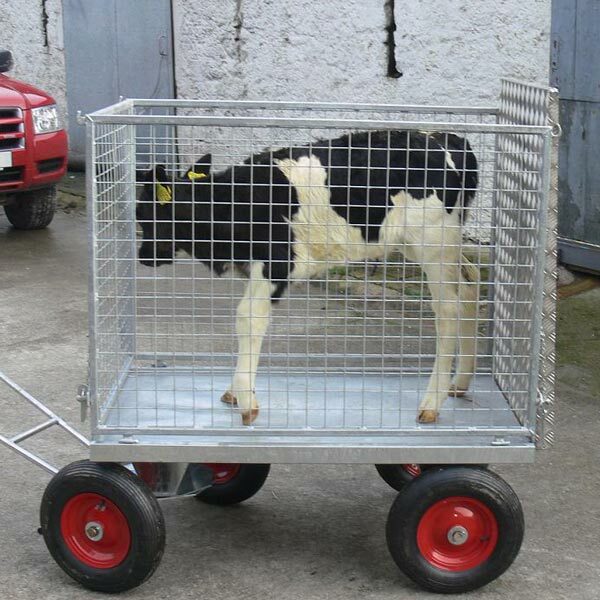 It is designed for those who use whole milk, the trolley is an ideal tool for ferrying milk from parlour to calf pens. With the outlet positioned at the lowest point every last drop of milk can be used and washing is easy. A twist on lid minimises splashing and reduces fly contamination. It is lightweight for ease of transportation and its large 400mm pumped wheels are ideal for uneven ground. For more information on our calf equipment please do not hesitate to contact us on 021-7334066 or info@odonovaneng.ie.